The weekend is nearly here and let's face it, we all want to ease into Friday. 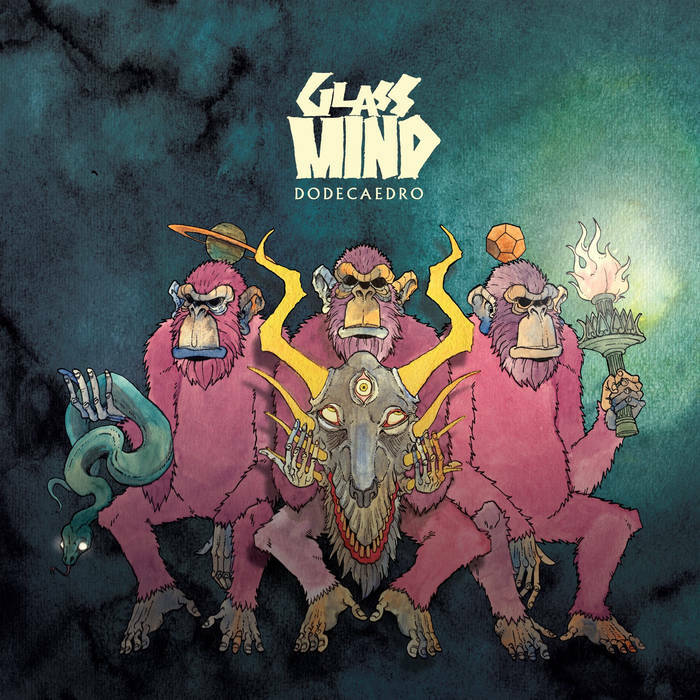 That's where Mexican progressive instrumental band Glass Mind comes in. Their 2nd full-length "Dodecaedro" was released in January 2017 by the band themselves and was then picked up by European label Rockshots Records on licence, who gave it a wider release in Europe and North America during the year. It follows their 2011 debut album "Haunting Regrets". Glass Mind has been compared to the likes of Dream Theater (minus the vocals) and Scale The Summit, though I'm gonna let those comparisons go and try to appreciate their music for what it is. Opening song Babel was one of the band’s earlier singles prior to the release of “Dodecaedro”. It was made available digitally by the band in May 2015. What strikes you immediately with the song is Glass Mind’s use of traditional Mexican and South American influences during the opening passage. Those influences remain subtle throughout the rest of the song, which is a great mix of progressive melody and metallic heaviness. Caliente is a more restrained and shorter piece. In fact it’s interesting that Glass Mind elects to sandwich sub-two minute pieces in between their longer songs, so as to not lose the listener. Fu is incredibly upbeat and contains a lot of different textures and musical layers, which for a quartet that solely relies on their instruments (and not heaps of electronic wizardry) is great to hear. Humedo has a space-age vibe to it and some great drumming to boot. There used to be a time when I though that instrumental progressive metal bands were all about histrionics and classical music, but as I’ve got older and discovered newer bands like Intervals and the like, I’ve realised that isn’t the case at all. Inside The Whale is a beaut and takes more from the modern era of instrumental bands, while still ensuring that Glass Mind’s incredible musicianship isn’t tampered with in the process. Glass Mind makes Frio into a brief fairytale-like musical interlude that sounds beautiful. Detritus was the earliest single that Glass Mind released (in March 2014, the other being Inside The Whale in July of the same year) and it’s twin guitar work is something else. The piano lends a more sensitive edge to the music as a whole, with extra rock tendencies flowing through it. There’s all kinds of things going on in penultimate song Seco, which features some great guitar effects and what sounds like s Sitar(?). Glass Mind end with the title-track, which is probably the most experimental song on the record. It sums up both how assured this quartet is but also how amazing instrumental metal can be. I know that I’m writing about this over a year after it’s release but it still stands up as an incredible album. More please! If you want to purchase the album digitally or on cd, links to all the major outlets are available on the above page as well.